It was unusually positive language for a top U.S. official speaking about the regime of Syrian President Bashar al-Assad, but there was Secretary of State John Kerry giving the Syrian leader a pat on the back. Speaking to reporters in Bali on Monday, Kerry hailed the quick pace at which inspectors from the Organisation for the Prohibition of Chemical Weapons have been able to get on the ground in Syria and begin their work to destroy its vast chemical weapons arsenal, as called for in a recent U.N. Security Council resolution. It's been more than 30 years since high-level officials from the United States and Iran sat down together to talk face-to-face. If everything holds, that drought ends on Thursday. Secretary of State John Kerry and Iranian Foreign Minister Mohammad Javad Zarif are set to meet in New York as part of a meeting between the Middle Eastern country and the five permanent members of the U.N. Security Council plus Germany. They will explore restarting talks on Iran's nuclear program. Such a high-level meeting involving the United States and Iran hasn't happened since Iran's 1979 revolution, which sent relations between the two into a deep freeze. In a tiny room at the United Nations under a portrait of Vladimir Putin, Russian Foreign Minister Sergei Lavrov, flanked by a team of men in dark suits, welcomed Secretary of State John Kerry into his meeting room. Kerry was flanked by a team of women: U.N. Ambassador Samantha Power, Undersecretary for Political Affairs Wendy Sherman and Assistant Secretary for European Affairs Victoria Nuland. A highly-anticipated 45-minute meeting went twice that long and was described by Kerry as "very constructive." One senior State Department official said the two men had pencils in hand as they marked up a text of a U.N. resolution on dismantling Syria's chemical weapons. Secretary of State John Kerry waves as he arrives in Geneva for meetings with the Russian Foreign Minister to discuss the situation in Syria. As Secretary Kerry and his team land in Geneva, I get a clear sense of them heading into these crucial talks with the Russians with a healthy dose of skepticism. As one official said to me, this is a test of whether the Russians and more importantly the Syrians are serious. Both sides are bringing their experts on chemical weapons, security, and more – all to assess whether there is a credible way forward to catalogue, collect and destroy Assad's massive arsenal of chemical weapons. These next 48 hours will determine if there is a diplomatic way out of this. "We can test whether there is a credible and authentic way forward here – that the Russians mean what they say – as importantly, more importantly probably, that Assad means what he says and that we can move forward with a program that is verifiable, that can happen expeditiously and that Assad cannot have access to and continue to use chemical weapons against his own people," a senior administration official told me aboard the plane as we flew to Geneva. Administration officials say the intended outcome of the meetings is to get an "outline of what a way forward may look like" which they can then take to Britain, France, China, and others to build support for a resolution at the United Nations Security Council. 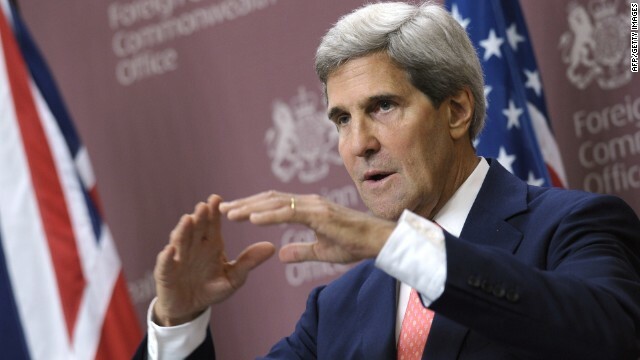 Secretary of State John Kerry will explore Russian plan on Syria in Geneva talks on Thursday. Secretary of State John Kerry heads to Geneva on Thursday for a high-stakes meeting with his Russian counterpart that could conceivably tip the balance on whether the United States strikes Syria militarily over alleged chemical weapons use. Kerry will meet with Russian Foreign Minister Sergey Lavrov to discuss the specifics of Moscow's plan that would put Syria's chemical stockpiles under international control, described as a difficult but momentous step that would nullify the threat of weapons of mass destruction and diffuse the crisis. In his address to the nation on Tuesday, President Barack Obama said he was willing to test the seriousness and feasibility of the proposal before resuming his push for a vote in Congress on whether to authorize force to punish the Syrian regime over an alleged poison gas attack last month the United States says killed more than 1,400 people. Kerry will take the lead in dealing with the Russians, Obama said. 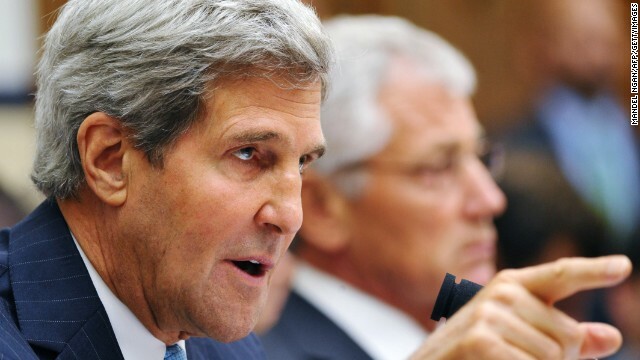 Secretary of State John Kerry on Tuesday acknowledged concerns by some in the moderate Syrian opposition that limited U.S. military assistance had not reached them as fast as they had wanted, but he said that issue has now been resolved for the most part. "It is accurate to say that some things have not been getting to the opposition as rapidly as one would have hoped," Kerry said during a Google + Hangout discussion. "Part of that was sort of early organizational effort, but then subsequently it took a while for Congress to approve certain components of it and finally it just takes time to start it." Kerry said he was not able to disclose what specifically has been sent in the form of weapons by the United States to the Syrian opposition. "A coordinated effort is being made among the many supporters of the moderate opposition to get them the assistance they need," in addition to ongoing non-lethal, medical and humanitarian assistance to the opposition Kerry said. 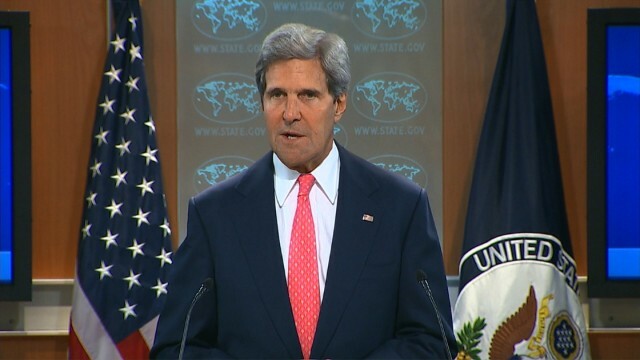 Secretary of State John Kerry speaking in London on Monday. Russia urged Syrian President Bashar al-Assad on Monday to put his nation's chemical weapons stockpile under international control as part of an effort to head off a possible military strike from the United States. Sergey Lavrov, the Russian foreign minister, said his country would urge Syria to take the action if it would avert a military response from the United States. 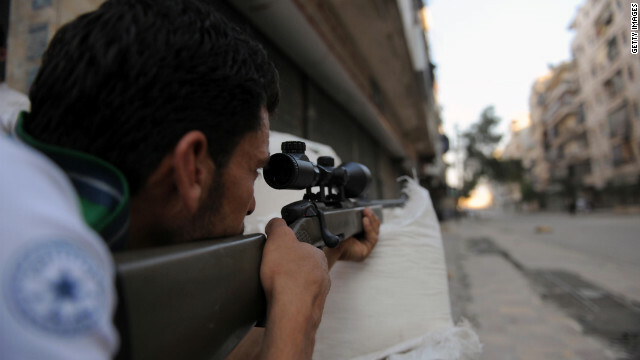 There was no immediate reaction from the Syrian government. 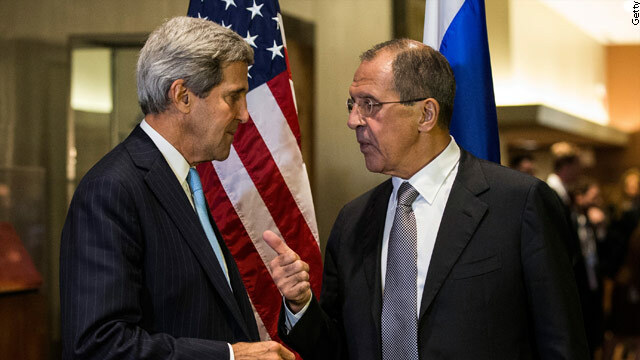 Lavrov's comments came the same day Secretary of State John Kerry seemed to endorse a similar course of action. Assad "could turn over every single bit of his chemical weapons to the international community in the next week," Kerry said during a news conference with British Foreign Secretary William Hague. "But he isn't about to do it and it can't be done obviously." 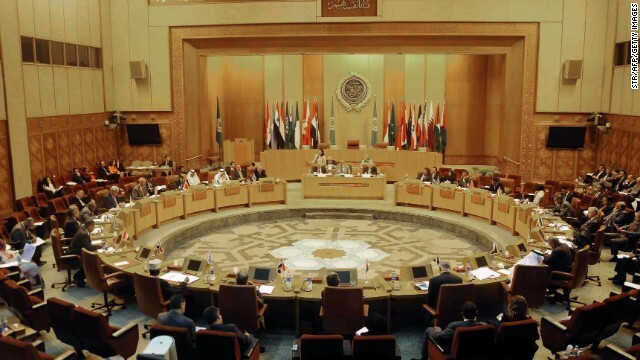 U.S. Secretary of State John Kerry, speaking Sunday from Paris, where he met with Arab League ministers, said Saudi Arabia has approved international military intervention in Syria. 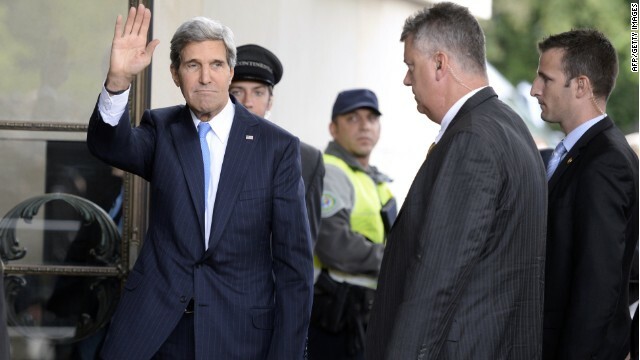 "They support the strike," Kerry said after meeting with Saudi foreign minister Saud al-Faisal. Saudi Arabia is a diplomatic heavyweight in the Arab world, but hasn't publicly called for an international military reprisal after a reported chemical weapons attack last month by the Syrian military against rebels. The European Union called Saturday for a "clear and strong" international response to the Bashar al-Assad regime's alleged use of chemical weapons in Syria, but said U.N. inspectors investigating the incident should report their initial findings before any action is taken. The statement came as U.S. Secretary of State John Kerry sought to persuade skeptical European allies to join an international coalition on Syria after a Group of 20 summit ended Friday with a stalemate between Washington and Russia. EU foreign policy chief Catherine Ashton read the statement, which she said reflected the position of all EU members, after four hours of talks Saturday between Kerry and EU foreign ministers in Vilnius, Lithuania.